The Hurricane Season still has over a month left, but we’ve already had two rather damaging hurricanes that have caused massive damage across the Caribbean. I wrote earlier this month that we can’t forget that many of non-Contiguous United States areas were severely impacted by Hurricane Irma. A good friend of mine, Geoff has strong ties to the area, having lived some of his life in the US Virgin Islands. Even better, he’s pulling together supplies to send to the US Virgin Islands, and you can help! If you’re in the San Francisco Bay Area, you can coordinate directly with him, he’s putting together pallets to be sent out to the islands. My wife and I will be contributing to at least one. If you’re not in the San Francisco Bay Area, and you want to contribute to this effort, you could order to a store like Walmart, Target, or Sams in the Bay Area, and coordinate with Geoff to pick up (best to coordinate first to get a store closer to him). 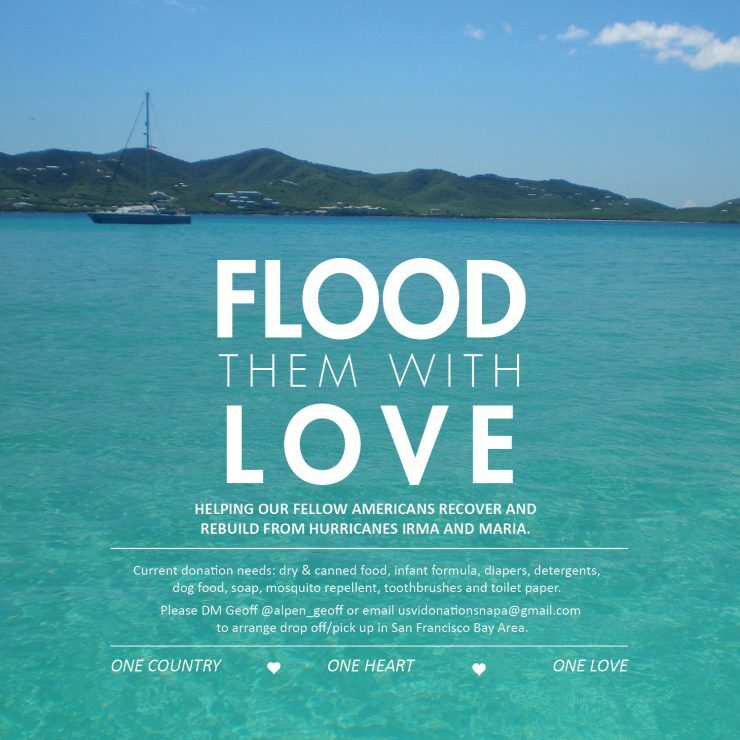 I realize there are a lot of ways to support the recovery of so many areas ravaged this hurricane season. The thing about Geoff’s effort–other than the fact that he’s a friend–is the fact that he is essentially taking this on himself. Thank you for 3 Years of Tagging Miles! Three years ago today, Matt gave Joe Cortez and I an amazing opportunity to start Tagging Miles. Joe’s since went on to do bigger and better things with FlyerTalk, but he’ll always be part of the Tagging Miles family. So today, I thank you, our awesome readers, for 3 awesome years! It has been wonderful to be a part of the Saverocity team, to be a part of this incredible miles and points community, and to attempt to strike so many different balances between blogging, being a good steward of the community, and still having the time to travel (you might say, in style). In what has become an annual navel gaze, I will say that in the past 3 years, we’ve had 431,816 views. 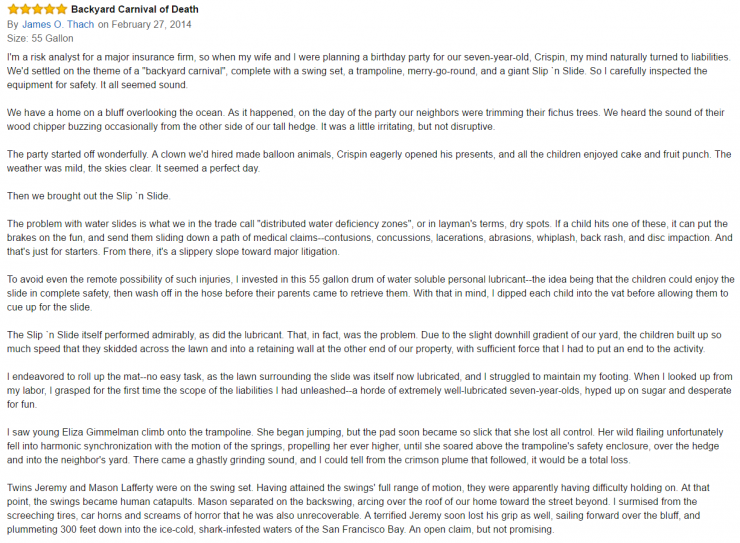 I realize for the bigger blogs, this is probably not huge, but to me, it is absolutely incredible! The Plastic Merchant – A great way to resell gift cards. A Dark Time for Amazon Sellers – and unfortunately the hits keep coming! The Power of a Retention Specialist – Verizon Wireless Edition. Is it time to get more strategic about credit card applications? Many contributing factors indicate yes. Why Joe Cancelled his AAA Membership – A total blast from the first year of the blog! My Worst Reselling Mistake – Apparently many either learned from my mistakes, or at least got some humor from them! My secrets to complaining and getting a Gesture of Goodwill in return – An important life lesson; kind’ve like the Go Around Principle, I’d also remind you that Gestures of Goodwill shouldn’t be one way. As I think the posts above indicate, the more popular posts seem to ironically be not so much about travel, but, other things in the miles, points, and reselling world. I’ll continue to keep spicing things up, but I am curious whether folks have enjoyed any particular writing trends over the past year. Please share your thoughts in the comments. Its been a pretty busy year other than the blog for us too. We’ve established a Tagging Miles Facebook Page (please, check it out! ), we’ll be hosting our 5th Reselling DO in August, and I’ve partnered with Phil Hall to launch the Mile High Reselling Club. In honor of the 3 years of Tagging Miles, I’ve got a give away – 2 American Airlines Admirals Club passes. Just sign up to our new e-mail list, and leave a comment. I will randomly select the winner from the comments on 27 January. Thank you again for 3 Years of Tagging Miles!! 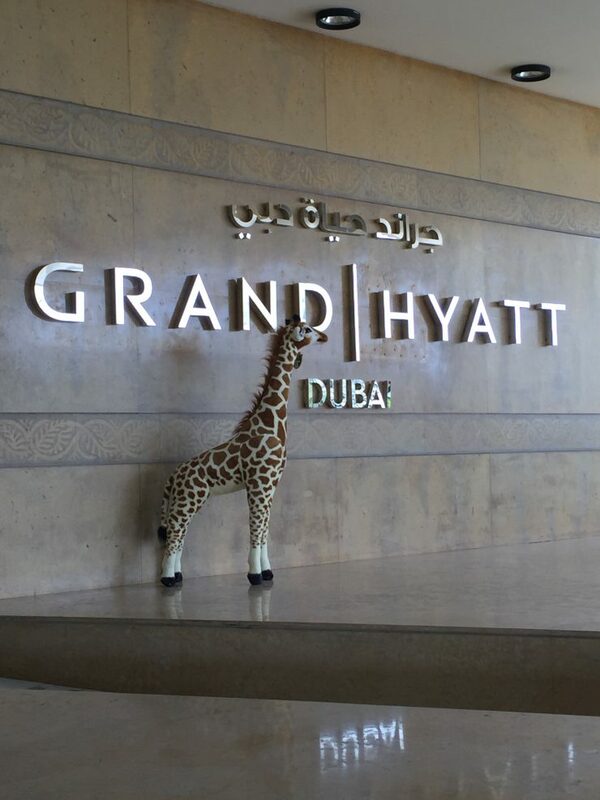 Last summer, Diamonde the Giraffe flew to United Arab Emirates and visited the Grand Hyatt Dubai. Who knew that she’d be getting involved with Delta SkyMiles and Lyft? The program allows you to link your Delta SkyMiles and Lyft accounts. You’ll earn Delta SkyMiles on your Lyft rides now when you link the two accounts. Initially, you’ll get triple miles on round trip ground (Lyft) transport to the airports. But its not clear how long that will last. 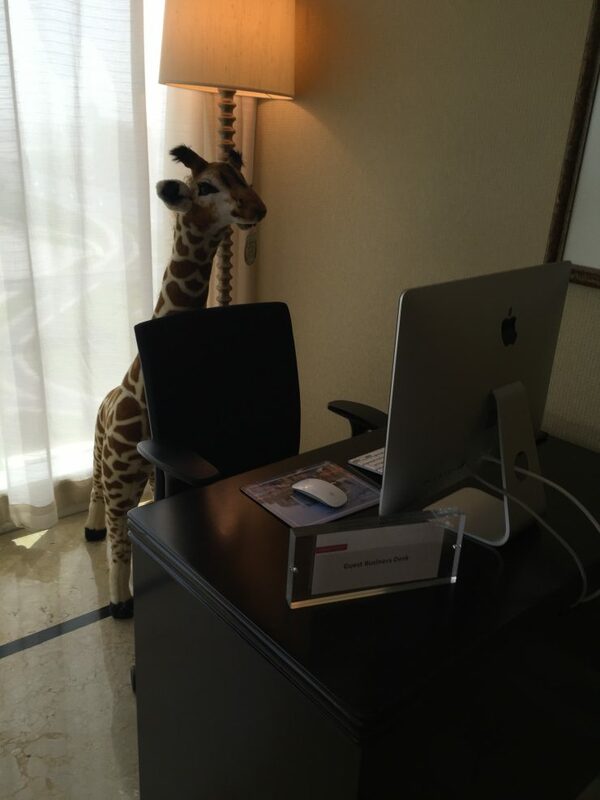 I suppose we should’ve kept better tabs on Diamonde at that computer…. A quick check of e-mail before heading downstairs. While Boeing has largely been viewed as the leader in innovative wing technology, what with their folding wingtips on the 777x, it sounds as if Virgin kept this development as an in-house affair. The wings constructed from Graphene, will not just propel the plane, but will also power many of the aspects of the aircraft, including lights, ovens, Inflight Entertainment, and will improve the overall passenger experience. The Dreambird 1417 won’t fly this year, unfortunately. You’ll have to wait until 2019, where the inaugural route will be London-Heathrow to Seattle. Truly, the flapology of the Dreambird 1417 is revolutionary wing design. Its exciting to see an aircraft that can do what birds have been doing for millennia. 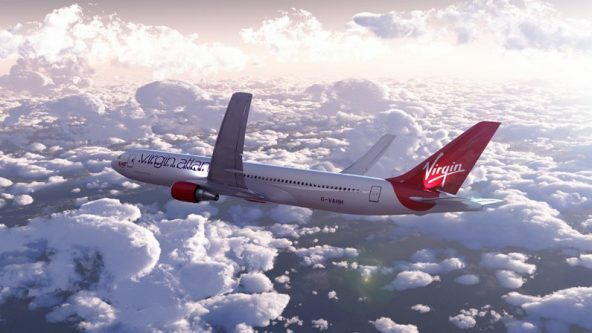 Fantastically, Virgin continues to innovate, and break through barriers. I’m just left wondering whether the Upper Class Suite will be new and improved, or will it remain as the herringbone seat on the Dreamliner? Happy April Fools Day 2017! If that was enough to whet your appetite, check out more reviews of the product. but, its not done just yet, read more! In case this is right up your alley, at last check, there were only 3 left, and nearly 2,800 reviews. See for yourself! The answer to all of your Banana Needs! 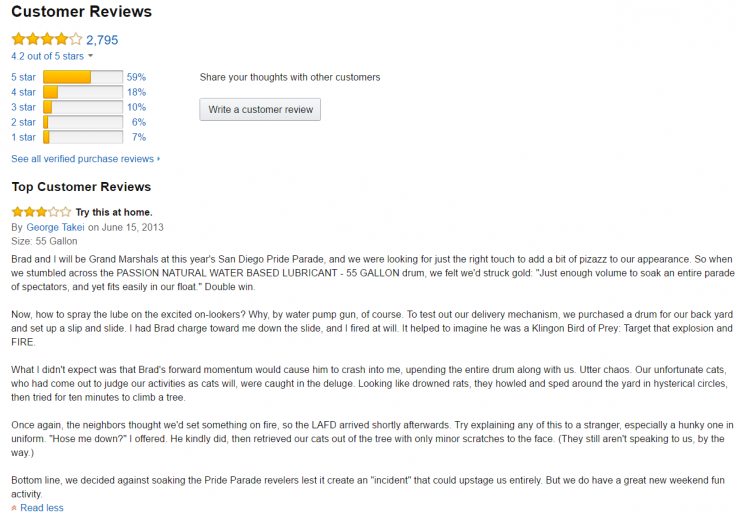 Hopefully this brief review of funny Amazon reviews gave you a bit of a laugh! 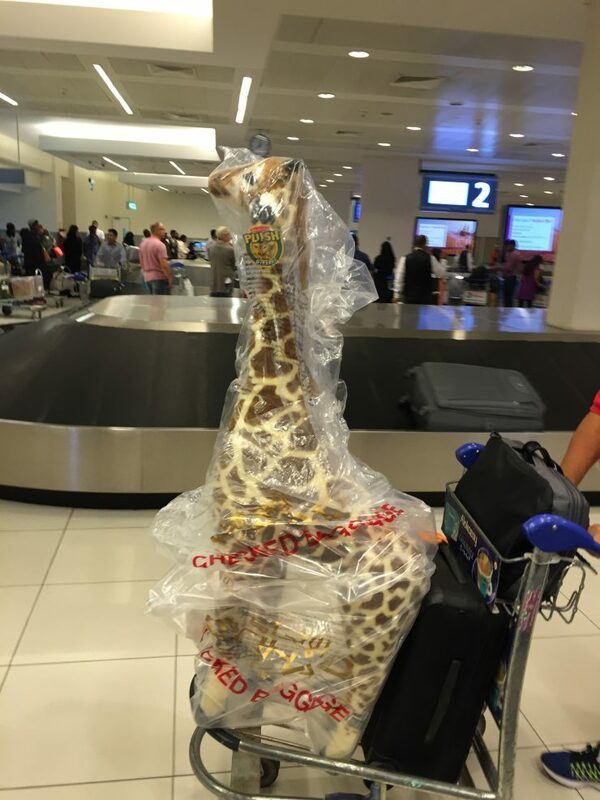 That said, from the reselling angle, we have contemplated trying to find a good price on some of the above products… if anyone is looking for the 55 gallon drum of lubricant, well, I can tell you, it does not work well as a checked bag….. but it provides more than sufficient entertainment as the baggage handlers attempt to get it into the baggage hold via the conveyor belt… and the real fun, well, that’s when it comes out in the baggage claim. But perhaps that’s a story for another time!